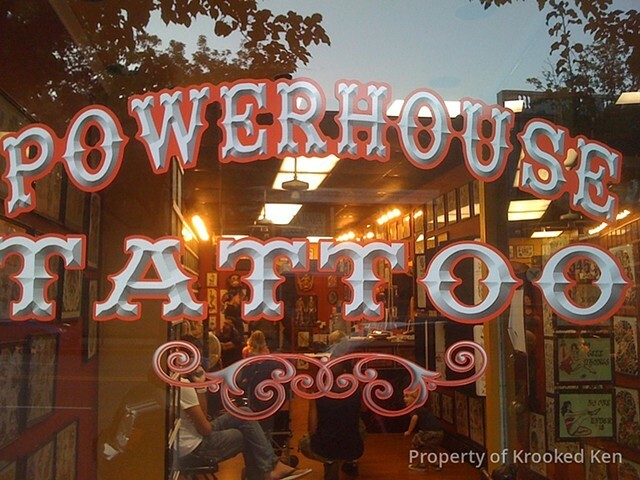 Powerhouse Tattoo Co. located at 545 Bloomfield Ave. in Montclair NJ has been serving it's clients since 1991. Owners Krooked Ken of Black Anchor Tattoo in Denton MD and Eddie Peralta of Senzala Tattoo in Old San Juan Puerto Rico are dedicated to perserving tattoo history. Powerhouse tattoo keeps the street shop atmosphere alive with the best tattooers in the area accepting walk ins and appts. Shop hours are 1-9 Monday thru Friday and 12-9 Saturday and Sunday, give us a call at (973)744-8788.